A new year, a new column! Today marks the inaugural post of our new series Science Fiction Fridays. Every Friday librarians and people of interest will talk about their favorite science fiction and fantasy books, television, movies, art, music and whatever other newly discovered media we find interesting. 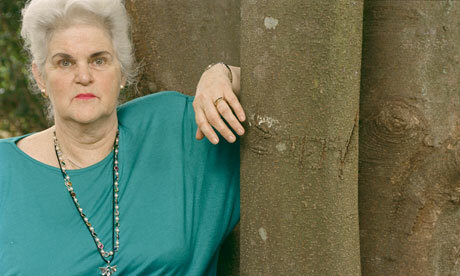 The recent passing of Anne McCaffrey has left a huge void in the science fiction world. While there are many popular female science fiction writers creating dazzling and award-winning books right now, McCaffrey’s works are so singular, unique and warm, it’s hard to even make comparisons. Through her many novels and characters, one always got the sense that McCaffrey was creating people she herself cared about. These weren’t simply toy soldiers conjured up to perform acts of violence or follow some pre-ordained plot. Rather, McCaffrey’s gift was to give her protagonists life, and then set them free to make decisions, suffer defeats and celebrate triumphs. And while most people know McCaffrey for the rightfully celebrated Dragonriders of Pern universe, she has several novels outside of the series that are worthy of the same amount of worship. With that in mind, here are the top 5 non-Pern novels by McCaffrey that are well worth checking out. Feel free to leave your suggestions, or even your favorite Pern novel, in the comments. Crystal Singer is the galaxy-spanning adventure of the ambitious Killashandra, a young woman who has trained all her life to be singing star, only to discover she is disqualified from high honors as a singer for a burr in her voice. I always picture Stevie Nicks as a stand-in for Killashandra, which only makes this book more fun to read the further you take it. Romantic and fast-paced, Singer is as unique and charming as the best of McCaffrey. The Ship Who Sang is probably one of my favorite McCaffrey books, Pern-related or not. The surprisingly poignant tale of Helva, born with severe congenital defects, whose only salvageable part, her brain, is inserted into a titanium shell than integrated with a scout spaceship. More a collection of vignettes than a full-fledged narrative, the book still manages momentum and emotional resonance. One of McCaffrey’s most subtle and thorough explorations of big concepts like humanity and consciousness. Legend has it McCaffrey had to stop reading this one out loud because she would always cry at the end. Dinosaur Planet is the story of a scientific exploration to the planet of Ireta, an almost inverse of Pern. A colorful cast of scientists explore the planet only to discover strange murders and mutilations of the local flora and fauna. While the mystery only gets going in this first book of the series, I promise you’ll be reaching for the second book the moment you finish the last chapter. Freedom’s Landing is a great pulse-pounding combination of romance, survivalism and interstellar politics, similar to McCaffrey acolyte Lois McMaster Bujold. The alien Catteni kidnap a young woman in Denver and she awakens to discover a large chunk of humanity has been enslaved on an alien planet. The protagonist is smart, witty, resourceful and ingenuous. Not content to rule science fiction, McCaffrey had to conquer chick lit as well. To Ride Pegasus might be one of McCaffrey’s best character books, where both minor and major characters through the epic span of the book are rendered as complex individuals. The novel focuses on four women with the psychic and healing abilities that set them apart from humanity, in ways the protagonists never dreamed of. The beginning of the Rowan series starts here, which I would write more about but I’m out of space. That’s all for this Friday, but check back same Battime next week where librarian Misha will tell us all about one of her favorite fantasy books of 2011! The leaves are falling, the bubble has been popped for awhile now, and the holidays are right around the corner, which means it’s the best time to read dystopian fiction! Knowing these characters have it worse of then we do definitely puts a spring back in my step. I’ll admit it straight up: I’ve never really liked science fiction. I’ve never seen a single episode of Star Trek or read a book by Robert Heinlein. But I’m a librarian, and in order to recommend books to readers of every genre, I have to read outside my comfort zone. Thanks to a coworker, patrons, blog suggestions, and sheer luck, I’ve found sci fi that I not only like, but truly love and can recommend with sincere excitement! So for those of you who are absolutely sure sci fi is not for you, try one of these and see if you change your mind. The Host by Stephenie Meyer. I’ll admit it, I got as wrapped up in the Twilight series as everyone else. So when Meyer’s non-Twilight book was published, I automatically checked it out. Turns out it’s sci fi, and was easily one of the top five books I read last year. I think I liked this book because while aliens and other worlds are a necessary part of the story, the book hinges on character development. Before long, you’re so invested in the characters that nothing else matters. Note: In my personal opinion, the first 75 pages of this book are a tad slow. Please stick with the book – I promise you it’s worth it! Eureka on DVD. My cousin recommended this television series to me. The concept is unique: the city of Eureka in the Pacific Northwest is the home of the most brilliant scientific minds in the country. Founded by Einstein after World War II, the normal rules don’t apply in Eureka. Enter the new Sheriff, Jack Carter, who is not a particularly brilliant mind, but must solve cases usually caused by science gone awry. It’s filled with laughs, and makes you wonder what might be going on in our country in a small town somewhere. Ender’s Game by Orson Scott Card. I was finally convinced to read this sci fi classic by a friend who doesn’t usually read sci fic either. I grudgingly picked it up and was immediately engrossed. By immediately, I mean by the end of the first page. Similar to my feelings about The Host, Ender’s Game is all about the characters who happen to be set in a futuristic setting. The Eve Dallas series by J.D. Robb. A coworker recommended this series to me. I was a bit hesitant, because I couldn’t imagine how Nora Roberts (aka J.D. Robb) could write convincing sci fi mysteries. I was thrilled when I realized that, like all good mysteries, the case was at the forefront, with the futuristic sci fi setting as the backdrop. The mysteries are fun and complex, the characters are fun, and there are some gadgets Robb has thought up that I’m thoroughly looking forward to in the future! So please, give sci fi a try. Those of you reading this post who also used to be sci fi-resistant, please share the sci fi gems that you’ve found in the comments area. At this time of year, when the cold, grey sameness of winter softly wraps us in the bitter knowledge of our own mortality, I find myself squarely in the mood for a little transhumanist science fiction. What is that, you ask? It’s a highly philosophical body of literature dedicated to the rich question of what would it would mean to be human if science made “death” unnecessary. Your body could be killed, sure, but what if your consciousness were transferred to a new body, or a clone, or uploaded into a purely digital universe? Would you still be the same person if you were wearing different skin? What if an accident occurred and you and a clone lived concurrently, with the same memories–which one would control your bank account? How would you find work if no one born before you ever retired? Would life have as much meaning without death as a counterpoint? The right book in this category could fuel an excellent book discussion. If you’ve never read a book with a transhumanist theme, Altered Carbon by Richard K. Morgan, is a great place to start. It’s the first book in a trilogy and is driven by a compelling mystery that appeals to all kinds of readers. The main character, Takeshi Kovacs, is a former U.N. envoy who was murdered but had “backed up” his consciousness against the possibility of physical death. When a wealthy man “re-sleeves” Kovacs to a new body as payment for his investigation of a murder, the resourceful loner finds himself caught in a dangerous conspiracy. If Cormac McCarthy’s book The Road – or the movie adaptation hitting theaters October 16 – piques your interest in fictional visions of a dystopian, post-apocalyptic world, here are some other books to check out. There’s been a massive flood and only one family, on an ark, has been saved. Sound familiar? The Island at the End of the World by Sam Taylor isn’t Noah’s story, but instead that of Pa and his three children. When a stranger washes up on their island, the kids begin wondering how alone they actually are, and exactly what happened before the flood. Into the Forest centers on two teenage sisters living in the woods of California. Unlike some other books, Jean Hegland shows us the before, during, and after of the surprisingly calm end of civilization, while asking the question – how long do you wait for things to return to normal? In The Pesthouse by Jim Crace, an unexplained environmental disaster has dismantled society and sent Franklin trekking towards the east coast and the promise of ships headed to a more bountiful Europe. Along the way, he meets Margaret. Part love story, part end-of-the-world road trip, this book vividly portrays the societal relationships that spring up to fill the void. I Am Legend, by Richard Matheson, was also recently made into a movie. Robert Neville may be the only human left alive, but that’s not to say he’s all alone – the virus that obliterated mankind didn’t kill people straight out, it turned them into legions of vampires. Written in 1954, this is still a great read and has influenced a ton of modern horror novelists. If you were the last living thing on Earth, would you go insane? Is that what has happened to the woman in David Markson’s Wittgenstein’s Mistress? Try to piece it together as you read her stream-of-conscious recollections and commentaries. For a modern classic, you can’t go wrong with Stephen King’s epic The Stand. The apocalypse is brought about by a strain of super flu accidentally released from a military base, which wipes out nearly the entire population. Those that are left divide up into two factions – Good and Evil – and battle it out. Still looking for more suggestions? Try A Canticle for Leibowitz by Walter M. Miller, The Hunger Games by Suzanne Collins; or do a subject search for dystopia in the library catalog.